Think you know what Greek life is all about? If you are envisioning Animal House you may need to think again. As a small community, Ripon is known for its personalized approach to helping students learn and develop as a person and professional. Greek life at Ripon College reflects these efforts. Students participating in sororities and fraternities live in residence halls, not houses. They are leaders within the Greek community, as well as the greater campus. Greek students form bonds of unity and friendship, and serve as a family support system during your time on campus. They develop and serve in community service projects, including Girl Scouts of America (Kappa Delta), Fire Safety programs (Phi Delta Theta) and more. Ripon College hosts three sororities, including Alpha Delta Pi, Alpha Chi Omega and Kappa Delta. We also host five fraternities, including Phi Delta Theta, Phi Kappa Pi (Merriman), Sigma Chi, Theta Chi and Theta Sigma Tau (local co-ed fraternity). Acceptance into any Greek Chapter is based on your own leadership skills as well as your ability to envision new opportunities and the benefits the organization can offer you. Whatever chapter you choose to belong to the benefits you receive are one in the same: lifelong bonds with chapter brothers or sisters (or both) who share similar aspirations, local and global connections for your future career, deep bonds with area charities through volunteer work and a host of opportunities to build your character and leadership skills.
" Alpha Chi Omega is a national sorority that has been on the Ripon Campus since 1959. The purpose of Alpha Chi Omega is to encourage the true spirit of sisterhood, develop through personal effort a high moral and mental standard, advance academic achievement, promote financial responsibility, create competent leaders and develop healthy character in each member. With the wide variety of personalities, we have members participating in any number of activities and programs offered on campus, including varsity sports, intramurals, Orientation Committee, RA staff, Student Senate and Peer Contacts. We promote altruistic activities on the campus, within the community of Ripon as well as outreach to neighboring communities. Learn more about the sisters of Alpha Chi Omega.
" Alpha Delta Pi was the first sorority in the United States, chartered in 1851 in Macon, Ga. The Delta Pi chapter encourages its members to contribute their talent and personality to enhance the sorority while giving its members opportunities for leadership, academic enhancement, personal growth and social activities within a mutually supportive sisterhood. The members of Alpha Delta Pi are a diverse group of women belonging to various organizations on campus and who are highly involved with the community. Our national philanthropy is the Ronald McDonald House, and our motto is "We Live For Each Other." Learn more about the sisters of Alpha Delta Pi." " The Order of Omega was founded at the University of Miami in the fall of 1959 by a group of outstanding fraternity men, who felt that individuals in the Greek community should be recognized for their service to the fraternity community and the university. Today, Order of Omega is a coed organization that recognizes the top 3 percent of the Fraternity & Sorority Life leaders for their efforts in the areas of community service, academic achievements and leadership skills. The Chi Chi chapter of Order of Omega was founded at Ripon on Sept. 17, 2012. 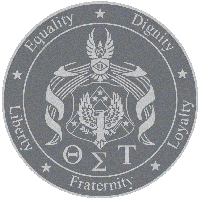 To apply to join the Order of Omega, please fill out the Membership Application. Learn more about the National Order of Omega.
" Phi Delta Theta was founded in 1848 at the University of Miami in Ohio on three principles: Friendship, Sound Learning and Moral Rectitude. Ripon’s chapter is one of more than 158 active chapters in the United States and Canada. 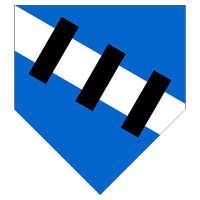 Phi Delta Theta enjoys a long and colorful history, and its members have achieved some of the highest military honors, awards and offices including the President of the United States.The Phi Delts at Ripon are involved in many different organizations on campus, with members in all levels of leadership. Their philanthropic efforts have worked to educate Ripon students each fall on the dangers of fire in the residence halls with their Fire Safety programs. Also working with the local Fire Department, brothers have raised money and awareness for such a “hot” issue. Along with the 6,500 other undergraduate members around the world, the Phi Delta Thetas work to uphold those founding principles set forth more than 150 years ago. Learn more about the brothers of Phi Delta Theta." " A group of Ripon College men formally banded together as Phi Kappa Pi on April 17, 1920, with three ideals: scholarship, participation in college activities and decent conduct. Conversations between two of the founding members led them to think more of the organization as a men’s fraternity with primary interest in scholastic achievement. In the summer of 1920, the fraternity secured residence in a house adjacent to campus. In this building hung a portrait of William E. Merriman, Ripon College’s first president. The building was called Merriman, and the group soon became known as Merriman Club. For 20 years, through times of economic prosperity and the great depression, Merriman Club remained housed in this building. In 1939, Ripon began building new residence halls for men, and a new building was constructed for the fraternity on Congress Street and inherited the name Merriman House. The Phi Kappa Pi fraternity was relocated to east Anderson Hall, one of the four Quad residence halls on campus." " The Sigma Chi Fraternity is founded on three main principles: friendship, justice and learning. These principles are practiced everyday in more than 300,000 living brothers worldwide. The fraternity was started in 1855 at the University of Miami (Ohio) by seven very noble and well-respected men, who later on became leaders in the church, the court and on the battlefield. Since its founding, Sigma Chi has overcome many great obstacles but has managed to spread itself across North America with 240 active chapters in the United States and Canada, as well as 145 alumni chapters around the world. The Ripon Sigma Chi chapter is a premier example of a leadership building organization. The Epsilon Lambda chapter was chartered in 1955 at the 100th Anniversary of the founding of Sigma Chi. Since then, the Ripon Sigs have led the campus in many different aspects. Each year the Sigs hold campus-wide events like Derby Days to raise money for the Children'd Miracle Network and Huntsman Cancer Institute. Sigma Chi has an outstanding reputation worldwide and, because of this, there are strict requirements in admitting new members. For example, all potential pledges must have a minimum GPA of at least a 2.5 and be a man of good character, a student of fair ability with ambitious purposes, a congenial disposition, possessed of good morals, have a high sense of honor and a deep sense of personal responsibility. Learn more about the brothers of Sigma Chi." " The Theta Chi Fraternity is a social fraternity founded in Vermont in 1856. It has been at Ripon College since 1954 when Alpha Omega Alpha, a local fraternity that began in 1906, petitioned to become a national organization. Theta Chi is dedicated to creating an environment of Truth, Temperance and Tolerance, enabling gentlemen of the fraternity to assume leadership positions, prosper academically and form brotherhood bonds. Beyond being a home away from home, we strive toward contributing to the campus and community. One must be a man of outstanding character based on the general consensus of current members to be admitted into Theta Chi. He also must exhibit qualities which further Theta Chi’s ideal of the helping hand. We encourage everyone to stop by and meet the men of Theta Chi. Learn more about the brothers of Theta Chi." Theta Sigma Tau prides itself on being an alternative, coed Greek organization in step with the times, for the discerning few. In short, Theta Sigma Tau is more than an organization; it is a collection of individuals who have become close friends. We’re the other guys. The Creed of Theta Sigma Tau: We, the members of Theta Sigma Tau, recognize the differences that set us apart from each other; and come together as a fraternal organization dedicated to the unity of the disunity. We pledge to support our fellow house members regardless of beliefs and convictions; and in the event those convictions conflict with our own, we pledge to respect our individual differences and to support those house decisions passed without absolute unanimity. This is the creed of Theta Sigma Tau. Learn more about the brothers and sisters of Theta Sigma Tau."